There are 3 important demographic trends happening in the United States. First, the baby boomer generation is about to retire and exit the workforce, which will increase its available free time for leisure. Second, aging Americans are taking a deep interest in ways to overcome health and mobility barriers that prevent them from socializing with others. Third, aging Americans want to socialize in non-competitive environments. They literally just want to chill out and relax. Winster.com is a social gaming site that is addressing these 3 demographic trends. 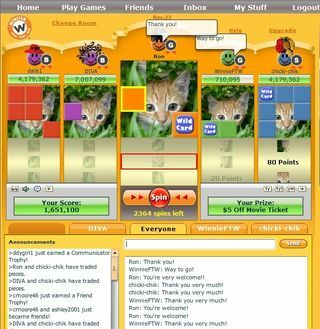 Michelle started Winster.com in 2004 as a social gaming site with an interesting twist: the games are non-competitive and designed to be engaging (see screen-shot below). The focus is on social interaction and collaboration. 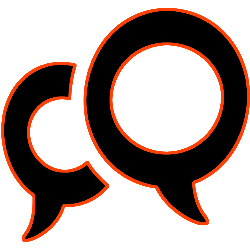 By focusing on positive collaboration through games, Winster has attracted millions of players (according to Compete: close to 2.2. million unique visitors in February 2011) because the site helps build enduring online friendships. Winster.com has captured a niche market that has been overlooked by other game developers.Video gaming has grown increasingly popular among older players and, particularly, older women. According to an eMarketer report in 2009, 29% of total PC game players were women ages 25 to 54, the largest percentage of any group. Women ages 55 and up were 17% of the market, the third-largest behind men 25 to 54. Older women spent the second-highest number of minutes playing. The social gaming site hosts collaborative games played on a synchronous platform designed to simulate a face-to-face social activity. In order to get ahead, players such as digital moms need to work together and help each other by trading/sharing game pieces, which quickly develops trust between players, forging friendships that provide companionship and emotional support for people going through difficult situations. Try out Winster’s social games at http://www.winster.com. Damian Davila is an online marketing and web analytics blogger. Follow him on Twitter at @idaconcpts.